Each year, millions of Americans enroll to take courses of higher learning from post-secondary educational institutions. 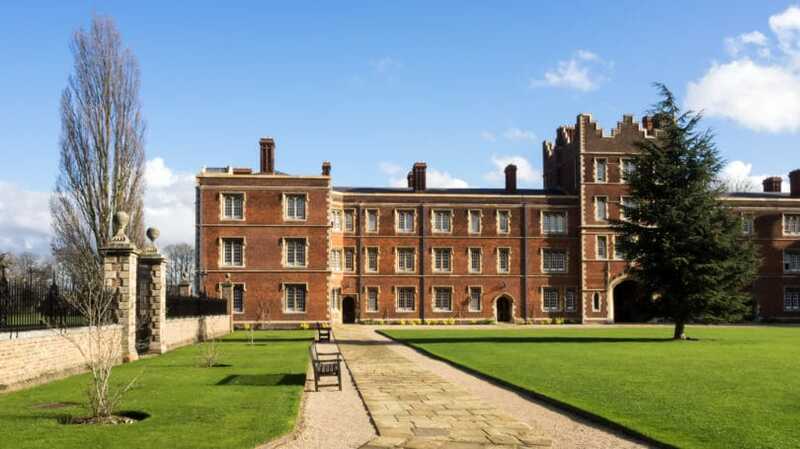 However, the majority do not have the funds to pay for their education in cash, and must therefore take out one or more loans to cover the cost of tuition and other fees. As a result, student loans have grown to a multi-billion dollar industry that provides the means for students from all economic backgrounds to pay for higher learning and vocational training. For many years, student loans were offered through two main channels: Direct Loans via the Department of Education, or through Federal Family Education Loans (FFELP) offered by private lenders, such as banks. However, in the spring of 2010, President Obama signed the Health Care and Education Reconciliation Act of 2010 (H.R. 4872) into law. This law mandated several major changes that consolidated and simplified the student loan industry. As of July 1, 2010, the Department of Education became the only institution that could offer federal student loans, and FFELP loans are no longer available. 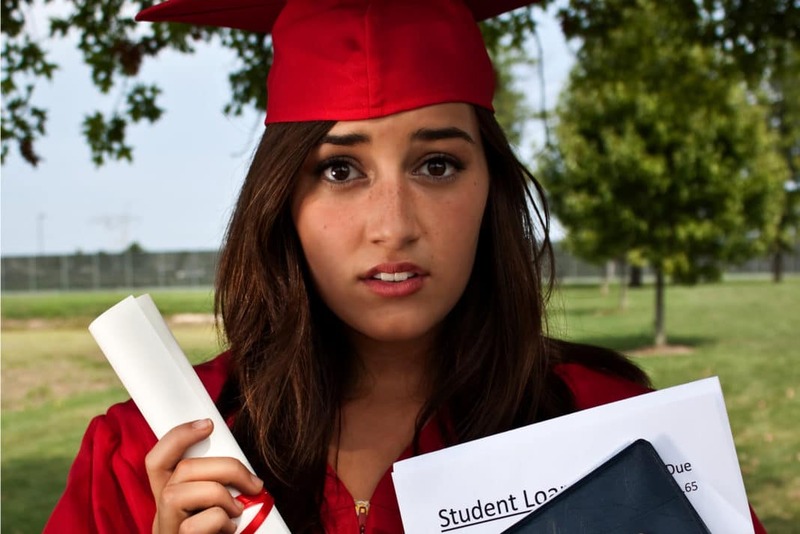 There are several types of student loans offered by various lenders. Their availability to students varies according to economic need, credit scores, and other factors. Students must be enrolled (and making satisfactory academic progress) at least half-time in a program that awards a qualifying degree or certificate. Federal Direct PLUS Loans. There are two types of Direct PLUS Loans: One is designed for parents of dependent undergraduate students, and the other is for graduate students. The loan for parents requires a credit check and may require an additional loan cosigner if the parents do not have good credit. Direct Plus Loans offer a fixed interest rate (currently 7.9%) and can only be used to cover the outstanding cost of school attendance that is not covered by other types of student loans or financial aid. PLUS loans thus differ from other types of student loans in that they are based upon the borrower’s credit instead of financial need. However, borrowers must still complete and submit a FAFSA in order to qualify. Subsidized and Unsubsidized Loans. Formerly known as Stafford Loans when they were offered under the FFEL program, these loans come in two forms: subsidized and unsubsidized. Both types of loans are available to undergraduate students, but only those with financial need are eligible for subsidized loans, while graduate students can only qualify for unsubsidized loans. Both loans charge a fixed rate, and repayment must begin within six months of cessation of coursework unless a deferment or forbearance is awarded. The Department of Education pays the borrower’s interest on subsidized loans while the borrower is in school at least half-time, for the first six months following graduation (a period known as the grace period), and during deferment. 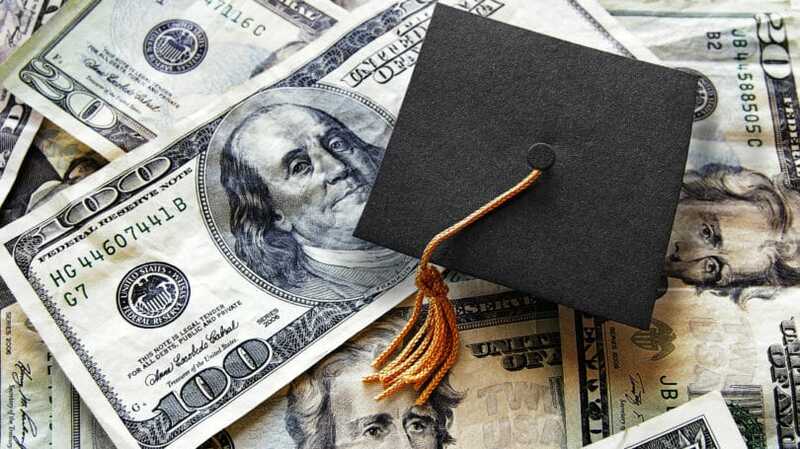 Unsubsidized borrowers, however, must pay all of the interest on their loans themselves – during school, grace periods, and deferments, interest accrues and is added to the loan balance. 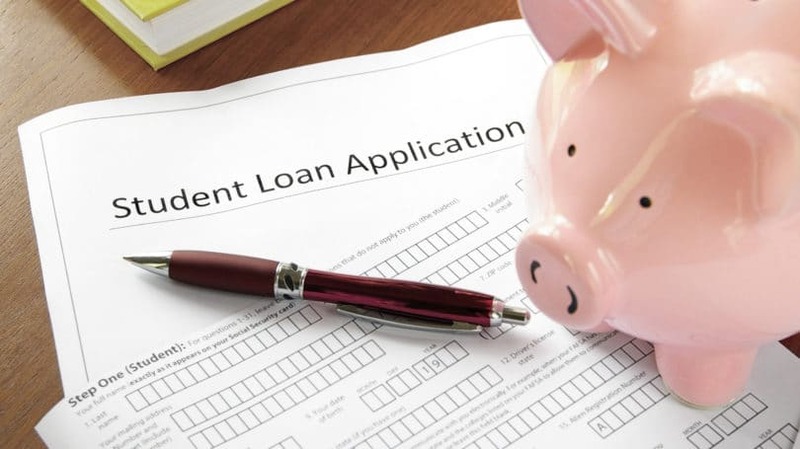 Because unsubsidized loans are not based on financial need, they are often sought by dependent students and parents who do not qualify to receive a PLUS Loan. As with PLUS loans, borrowers must submit a FAFSA in order to qualify. Federal Direct Consolidation Loans. This type of loan is available for borrowers who have at least one Direct or FFEL loan. Borrowers who consolidate can substantially lower their monthly payments by lengthening the repayment schedule on all of their loans. Consolidation may also renew deferment privileges granted to the previous loans. However, you could also lose benefits associated with the original loans by consolidating. The rate of interest charged is based on the weighted average of all loans being consolidated, which can be lower than the rate the borrower was paying before if he or she consolidates one or more variable-rate loans in a low-interest rate environment. Borrowers can no longer consolidate student loans that have in-school status, but they are allowed to consolidate loans in a grace period, or in repayment or deferment status. Loans in default can also be consolidated once they have been rehabilitated. Perkins Loans. Unlike Direct Loans, the educational institution acts as the lender for this type of loan. It is designed to assist low-income students with substantial financial needs, and is available for both graduate and undergraduate students. The loans charge a fixed rate, and repayment must begin within nine months of cessation of coursework, regardless of whether a degree has been awarded. Perkins-specific deferments and forbearances are available. Private Loans. Sometimes referred to as Alternative Loans, private loans are neither issued, subsidized, or processed by the U.S. Federal Government. Rather, they are issued solely from private lenders in the corporate sector. They are available for both students and parents, and the terms of repayment can vary substantially. Their issuance is based upon the borrower’s credit score and financial condition, and they are a major source of funding for those who do not qualify for government loans or other assistance. Institutional Loans. This type of loan resembles private loans in that they are not issued or processed by the U.S. Government. They are instead issued directly by the educational institution itself. State Loans. These loans are offered through various state-sponsored programs, and while they stand separate from federally subsidized loans, they may be able to offer better terms and conditions than private loans. Taxpayers who make student loan payments are allowed to deduct the amount of interest that they pay on their loans each year, as long as the loan proceeds were used to pay for qualified higher education expenses. The amount of interest that can be deducted is the lesser of $2,500 or the entire amount of interest paid, as long as the payor’s income does not exceed a certain amount. Lenders who received more than $600 for interest paid from the borrower must issue the borrower a Form 1098E that shows the amount of interest paid. One of the key advantages of this deduction is that it is an above-the-line deduction, which means that taxpayers do not have to itemize deductions in order to receive it. Federal Direct Loans offer several different repayment programs that vary by length and other criteria. Students can choose the program that best fits their budget and financial goals, although several of these programs require them to meet certain financial criteria. The first three types of plans listed are available for all subsidized and unsubsidized Direct and Stafford Loans, as well as all PLUS Loans, but not Direct Consolidation Loans. None of them are available for Perkins, private, institutional, or state-sponsored loans. Standard Repayment. This plan has a 10-year limit and comes with a higher monthly payment than the other repayment options ($50 minimum). This plan is suited for borrowers who can afford a higher payment and want to get their loans paid off as soon as possible. Borrowers who opt for this payment plan pay less interest relative to other plans. Those with higher incomes often choose this plan in order to save money in the long run. Extended Repayment. Borrowers with more than $30,000 of Direct Loan debt who did not have an outstanding loan balance of any kind on or before October 7, 1998 are eligible for extended repayment. The plan can stretch out for up to 25 years, and payments can be either fixed, which stay level over the life of the loan, or graduated, which are lower at the beginning and then increase every two years. This can be helpful for borrowers who expect their incomes to rise over time. But they will pay more interest over the life of the loan as opposed to the standard repayment option. Graduated Repayment. This plan resembles the standard plan in that it has a 10-year limit, but it has graduated payments like the extended plan, although there are additional limits to how much the payments can increase. No payment under this plan can ever be more than three times the amount of any previous payment. Income Based Repayment (IBR). This program is available for subsidized and unsubsidized Direct and Stafford Loans, PLUS Loans for students, and Consolidation Loans. However, it is not available to parents who have taken out a PLUS Loan. The payments under this plan are usually (though not always) the lowest of any type of plan. The IBR plan is designed to assist borrowers with a partial financial hardship. It calculates a monthly payment based upon the borrower’s income and number of dependents (but not on the total amount owed as with the income contingent plan) and compares this payment to what would be paid under the Standard Repayment Plan. If the payment based on income and dependents is lower, then the borrower is considered to have a partial financial hardship and is admitted to the program. Once a borrower qualifies, payments equal 15% of the borrower’s discretionary income, and he or she can stay on the plan regardless of whether or not the partial financial hardship continues. The plan also offers loan forgiveness after 25 years. Income Contingent Repayment. This program is available for subsidized and unsubsidized Direct Loans, PLUS Loans for students and Consolidation Loans. However, it is not available for FFEL Loans, Stafford Loans, or to parents who have taken out a PLUS Loan or for Consolidation Loans that have any of these types of loans in them. Borrowers who experience financial hardship (such as unemployment) can qualify for this plan, which calculates a monthly payment based upon the borrower’s adjusted gross income (the spouse’s income is also included for married borrowers), number of dependents, and the total amount owed. The monthly payments are recalculated each year and are the lesser of either 20% of the borrower’s discretionary income or the amount that the borrower would pay each month over a 12-year period multiplied by a percentage of the borrower’s annual income (which is reset annually). If the calculated payment is not enough to cover the amount of interest that is accruing on the loan, then the interest is capitalized (added to the principal balance). However, the amount of unpaid interest that is capitalized cannot exceed 10% of the total loan balance. The plan can last for up to 25 years, and any remaining balance at that point is forgiven. Pay As You Earn. This program is available for subsidized and unsubsidized Direct Loans, PLUS Loans for students, and Consolidation Loans. However, it is not available for FFEL Loans or Stafford Loans, nor to parents who have taken out a PLUS Loan or for Consolidation Loans that have any of these types of loans in them. This is a new type of plan available as of 2013 that allows the borrower to pay the lowest monthly payment of any type of plan. Borrowers must show partial financial hardship to qualify, and the monthly payments are calculated each year based on the borrower’s discretionary income and family size, and forgiveness is available after 20 years. Income Sensitive Plan. This plan is only available for FFEL Loans and cannot be used for any type of Direct Student Loan. Any type of FFEL Loan is eligible, including subsidized and unsubsidized Stafford Loans, PLUS Loans, and Consolidation Loans. It has a 10-year term and monthly payments vary according to changes in the borrower’s annual income. The payments can also vary according to the particular formula used by the lender. This is a temporary postponement of student loan payments. Deferments prevent the accrual of interest on Direct Federal Subsidized Loans (including Stafford Loans) and Perkins Loans, but interest is added onto the principal balance for unsubsidized loans. 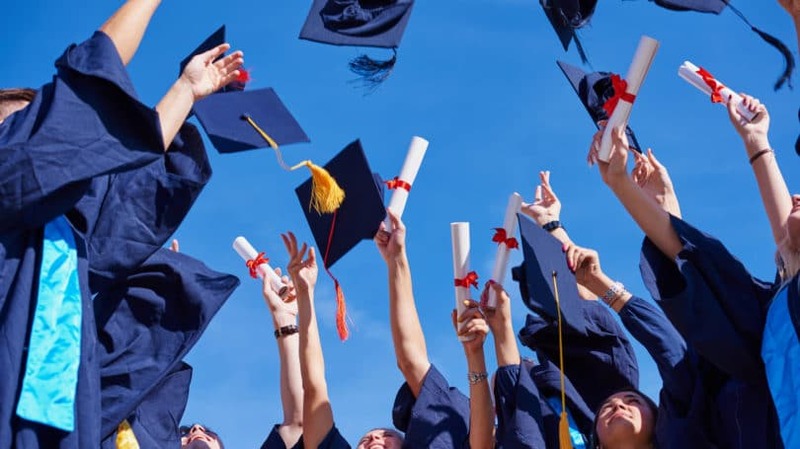 Deferments are available for half-time undergraduate and full-time graduate students, or for those who are unemployed or satisfy the criteria for economic hardship. Disabled students may also qualify, as well as those who are called to active duty in the military. This is a program under which student loan payments are either reduced or eliminated for up to one year. It differs from a deferment in that interest continues to accrue on the loan during this period. Forbearances are available for many students who do not qualify for a deferment. Forgiveness is a condition under which the borrower is released from the obligation to make any further payments on a student loan. Borrowers who get approval to have their remaining student loans forgiven will receive a Form 1099-C from the lender stating the exact amount of debt that was forgiven, and must report that amount as taxable income. Check the IRS website for details. Partisan organizations, such as political entities and labor unions, do not qualify, and religious organizations are likewise excluded. The type of job or position that one has with a qualifying organization is irrelevant, as long as the employer considers it to be a full-time position and the borrower employee works at least 30 hours per week. Educational workers must be contracted to work at least eight months out of the year. Borrowers who make 120 full, on-time payments while working a qualifying job are eligible to have the remainder of their student loan balances forgiven, regardless of their level of income. The payments must also be made under a qualifying repayment plan, such as the Standard Repayment or Income-Contingent Repayment Plan, but only Direct Loans are eligible for this program – private, Perkins, and FFEL Loans do not qualify. However, borrowers can consolidate their Perkins and FFEL Loans into Direct Loans, but their 120 payment schedule will not start until after the consolidation. Once these conditions are met, borrowers can then apply for loan forgiveness with FedLoan Servicing. Educators who teach for five consecutive years at qualifying low-income elementary or secondary schools and meet certain other criteria can apply to have as much as $17,500 of their loans forgiven. This program forgives both subsidized and unsubsidized loans, as well as Perkins Loans (provided they meet certain criteria), but not PLUS Loans. Cancellation is also referred to as a “discharge.” When a loan is canceled, it has the same effect as forgiveness, except that the amount of debt forgiven is not reported on Form 1099-C as ordinary income to the borrower. Teachers can have their Perkins Loans canceled if they teach in qualified low-income primary or secondary schools or teach certain subjects, such as special education, math, science, foreign languages, or any other subject that the teacher’s state classifies as having a shortage of teachers. Borrowers who attend a school that closes for any reason before the borrower can graduate may be eligible for loan forgiveness, as are those whose loans were falsely certified either by the school itself or due to identity theft. Borrowers who left school and were not paid a refund that they were rightfully due may also be eligible. However, loans may not be forgiven because a student fails to graduate, is merely dissatisfied with the institution, or is unable to find work in his or her chosen field. Institutional cancellations are also not available for Perkins Loans. Borrowers can have their student loans canceled if they meet the conditions of being permanently and totally disabled. A doctor’s certification is required for this, and several other conditions must be met. Loans are forgiven for deceased borrowers upon the receipt of a certified copy of a death certificate. Borrowers who file for bankruptcy can only get their loans forgiven if they can furnish hard evidence that convinces the judge that paying off the loan will cause them excessive financial hardship. However, this is generally very difficult to do, and most borrowers do not get student loan debt discharged in any type of bankruptcy. Despite the many programs and forms of payment aid that are available, a growing number of borrowers still become completely unable to make their payments. The average student loan debt ranges anywhere from $12,000 to $23,000, and the New York Fed estimates that about 11% of all borrowers are now over 90 days behind in making their payments, which is a higher percentage of delinquency than for credit card debt. The Department of Education has therefore created a Default Resolution Group that is dedicated to helping delinquent borrowers get caught up on their loans. Borrowers in default who wish to rehabilitate their loans can now come to an agreement with the Default Resolution Group to pay a specific amount that will bring the loan back into “current” status. The borrower must pay this amount in the form of nine separate payments over a 10-month period, and the payments must be made voluntarily by the borrower within 20 days of their due dates. Mandatory payments made via garnishment or other types of seizure do not qualify. If all else fails, the Department of Education has powers that rival those of the IRS when it comes to collections. They can ultimately garnish the paychecks of delinquent borrowers, as well as seize income tax refunds. And while it is possible in extreme cases to get delinquent student loans discharged in bankruptcy, this is not an option for the majority of borrowers who default. The Department also works with an extensive network of collection agencies in an effort to contact delinquent borrowers and collect past due payments from them. Borrowers who face the risk of default should think carefully about the consequences before they cease making loan payments. The student loan industry has grown into a multi-billion dollar sector of the U.S. economy. But while student loans may be the only means that many students have to pay for college, you should carefully consider how much you expect to earn after college graduation in order to evaluate whether it will be sufficient to repay your loans and maintain your standard of living. Work out a realistic personal budget while still in school to get a clear picture of your expenses, and to get in the habit of budgeting for the student loan payments that will come due after you earn your degree. For more information on student loans, visit your local student financial aid office or consult your financial advisor.